Product prices and availability are accurate as of 2019-03-22 13:31:33 EDT and are subject to change. Any price and availability information displayed on http://www.amazon.com/ at the time of purchase will apply to the purchase of this product. 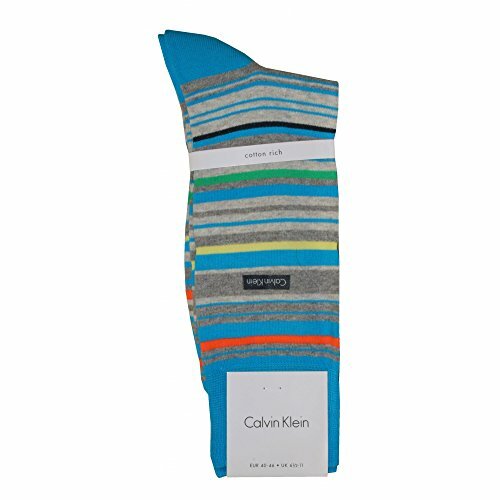 Striking Calvin Klein men's socks in a cotton blend UPC/barcode striped pattern in vibrant Fusion Blue colours. Fabricated from a luxuriously soft cotton blend with ribbed ankle for a soft supportive fit. 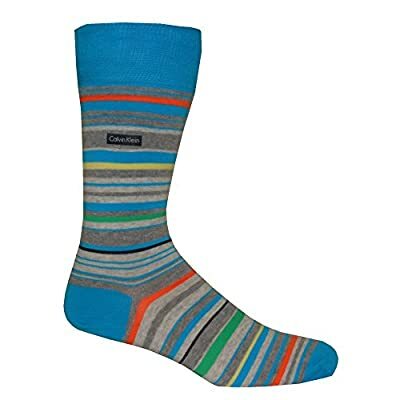 Variagated multi-stripe socks, add some fun to your feet! Spring Summer 17 Collection. To fit UK shoe size 6.5-11 (EU 40-46).